Orthotics, also known as orthoses, refers to any device inserted into a shoe, ranging from felt pads to custom-made shoe inserts that correct an abnormal or irregular, walking pattern. 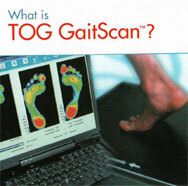 Sometimes called arch supports, orthotics allow people to stand, walk, and run more efficiently and comfortably. Most foot warts are harmless, even though they may be painful. They are often mistaken for corns or calluses, which are layers of dead skin that build up to protect an area which is being continuously irritated. Welcome! Since 1987, Kingsway Foot Clinic has been working with patients to provide the best chiropody care for patients in the Toronto, Mississauga, Thornhill areas. Kingsway Foot Clinic's experience in chiropody is coupled with genuine concern for their patients. All our staff is dedicated to your comfort and prompt attention as well. Our goal is to help you maintain healthy feet. This web site provides you with an overview of our practice and the field of chiropody. As you navigate the site, you'll find information about Kingsway Foot Clinic's practice philosophy, foot specialist, our Toronto, Mississauga, Thornhill office locations, insurance policies, and appointment scheduling procedures. Please browse the site at your convenience and feel free to contact us with any questions. You can also request an appointment by clicking here. Kingsway Foot Clinic will have a short bio with brief information on their background. Please check back soon or view the link below for more information.